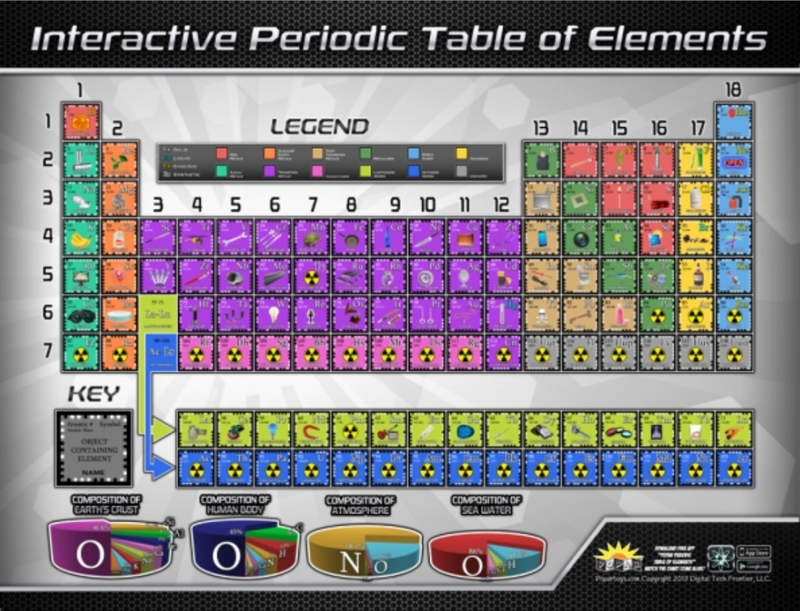 This durable 32" x 42" laminated poster features a free downloadable app (for any smart device) which enables users to go beyond the poster and play exciting games and discover more about the periodic table of elements. With the audio and visual content, you'll be able to virtually see what happens when you combine different elements and drill deeper into how and why the chart is organized the way it is. The chart app is free and available from Google Play or App Store.